The Diamond Room is here for all your jewelry repair, resizing and refurbishing needs. 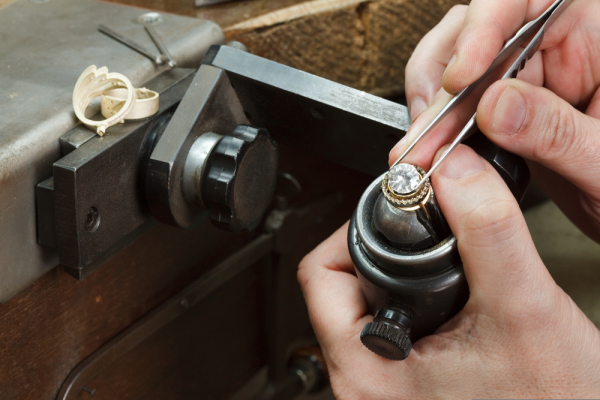 We understand how important and sentimental your jewelry can be. As a full service jeweler we can help with all gold, silver, platinum needs. Our expert jeweler has decades of experience and can handle anything from a simple sizing of rings, mounting stones, refurbishing and soldering to full custom jewelry pieces. Stop by and let us help guide you to the best option for your jewelry needs. For your jeweler needs that are time sensitive we offer rush and same day services. If you would like an online quote or have questions, please fill in your info and details below and we will promptly respond.